Kevin was my former instructor at Summer Academy in Architecture (University of Texas, Austin) back in 1994. A lovely source for all your old magazines - would be nice to use as an entire floor don't you think. Hong Kong architect Alexander Wong’s creed is ‘Naked Architecture ’, defined as stripped away of all layers of superficiality”. 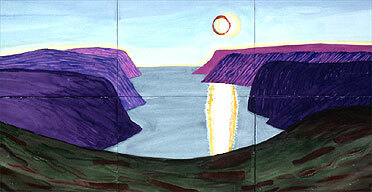 The basis of his work is utilitarian space is beautiful because it is meaningful”. This book presents various of detailed examination of a luxury boatyard (all clean, restful white lines, like a Hockney painting) to Jackie Chan’s house (“Chinese Kung-Fu meets Chinese Modern”, vivid and red) are illustrated by an adroit mixture of Wong’s engaging commentary, plans and quality photography. He is a fine writer and in these snapshots conveys what he is about very well. Naked + White is an excellent introduction to an intriguing character. anyone know if wong has a website? Whilst I don't do it for the awards nor the recognition the prize doesn't seem bad at all. Oddly enough archinect would probably get my vote. Bobanddenise.org was developed to complement the production of Learning from Bob and Denise, an upcoming feature-length documentary that examines the personal, academic and professional lives of the two influential designers and thinkers, Robert Venturi and Denise Scott Brown. GEORGETOWN (Stabroek News): THE CONSTRUCTION of Guyana's Cricket World Cup 2007 stadium is five per cent behind schedule, but site engineer Walter Willis is optimistic that it would be completed by the scheduled date. Meanwhile in Jamaica, Prime Minister P.J. Patterson shows some muscle at the ground-breaking ceremony for the Cricket World Cup 2007 stadium in Florence Hall, Trelawny. Both stadium grounds are to be ready in time for the opening ceremonies. Denton Corker Marshall has been plying its trade in China ever since it designed the Australian embassy there in 1982. Its new Dongqianhu International Educational Forum Complex, near Shanghai, is due to open by 2009 and will include a convention centre, an exhibition hall, a hotel and shopping facilities. The shape suggests dancing Chinese dragons. 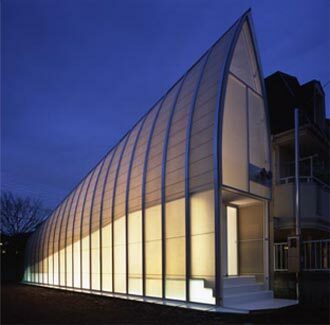 ISSHO is an architecture office basing in Tokyo, established in 2002. ISSHO develops architecture, urbanism, and furniture. With Miami's current building frenzy, the city needs to consider sustainable design principles urgently, and not only for environmental reasons. Indeed: such an earth-friendly approach is also a smart business investment, offering long-term profits and, in many cases, higher selling prices. The two-day Tropical Green conference will be an invaluable experience for architects, interior designers, developers, city planners, politicians, and voters in search of learning the ways of 21st century design that will both help the environment and their wallets. From 60's icon to environmental compound, architect David Hertz turns a 747 into a home. David Adjaye embarks on his "...biggest and most ambitious project yet, combining library, classrooms and community centre with social and youth spaces. The project marks a significant step forward for him....He is a very successful young architect; he is also a very successful black architect." The forthcoming book, titled Building More, Wanting Less . . . is inspired by living conditions in the working class neighborhoods of Bangkok, Buenos Aires, Chicago, Colombo, Delhi, Hong Kong, Istanbul, Los Angeles, Mumbai, St.Petersburg, and Singapore. Images used on this blog are the exclusive property of the photographer and credit is given accordingly, where and when possible or otherwise believed to be of the public domain. If an image has been used without permission please contact us and it will be rectified and/or removed.